Learning the English language is not a bore. It is fun! Welcome to Native Camp. My name is Hugo, and I am a licensed teacher. I believe that the success in becoming an effective user of English starts with having meaningful and fun classes and facilitative teachers. Indeed, studying the English language should not be a burden but a joy that you will always look for. See you! 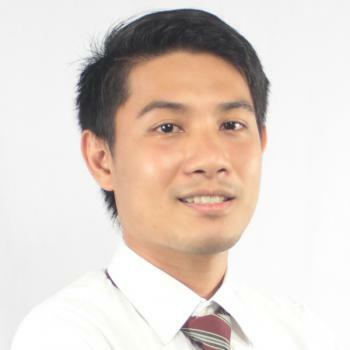 Teacher Hugo studied Bachelor of Arts in English Language. In addition, he took professional education subjects, which make him eligible to teach at a secondary school. He wants the students to use English in real-life situations, so language application is essential in every class. As a teacher, he believes that students should enjoy while learning English. When there is FUN, EASY English comes. Thank you so much for your time today. Well, I really hope you get well soon. Take care and sleep well tonight. Thank you so much for teaching me a lot. I'm really happy to meet you today. It was really really fun!!!!!!!!!!!!! !